Jazz Song Creator is easy to use, sounds fantastic and makes lots of fun. It is the perfect tool to write a song and play around with Jazz styles, chords, keys and different structures. We want to thank our thousands of customers, that support us to keep Song Creator, Backing Tracks and more Apps of us running since 2013. By using the latest software techniques you got a song that feels like a whole band is playing. 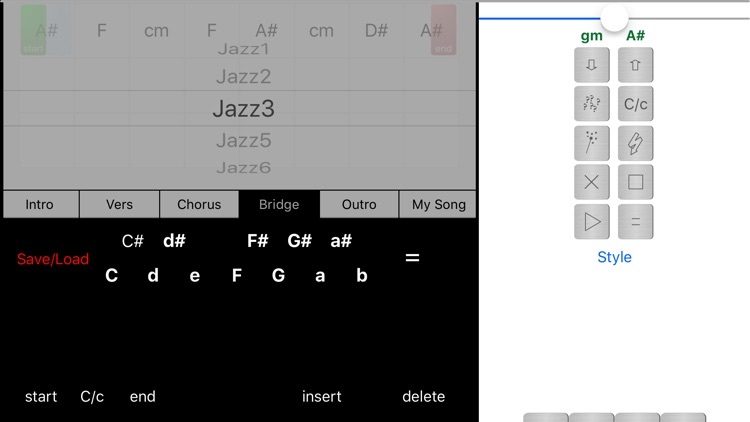 You just to have to write down chords or press a button in Jazz Song Creator. By using the "=" - button you got variations of the musicians within a chord - that´s new and sound fantastic. The song is automatically saved in iTunes with correct timing, so that you can use it for further work in your favourite DAW. 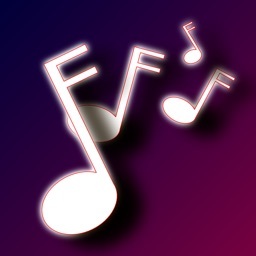 You can transpose your Song without loosing the great sound quality. 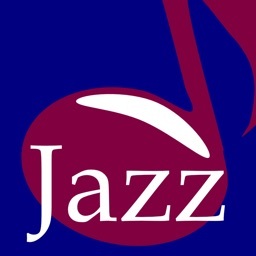 If you use Jazz Song Creator to develop text, there are additional features now. 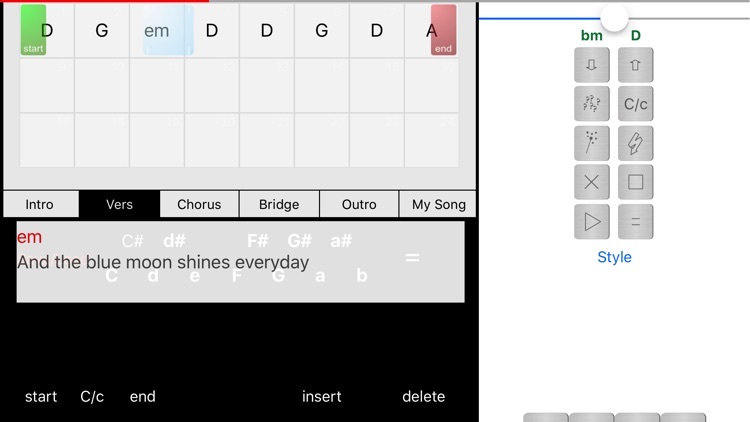 You can type in text, or use speech recognition to write your text down in Jazz Song Creator. Once you play your track, the text is scrolled over the screen, so that you can use it on stage. 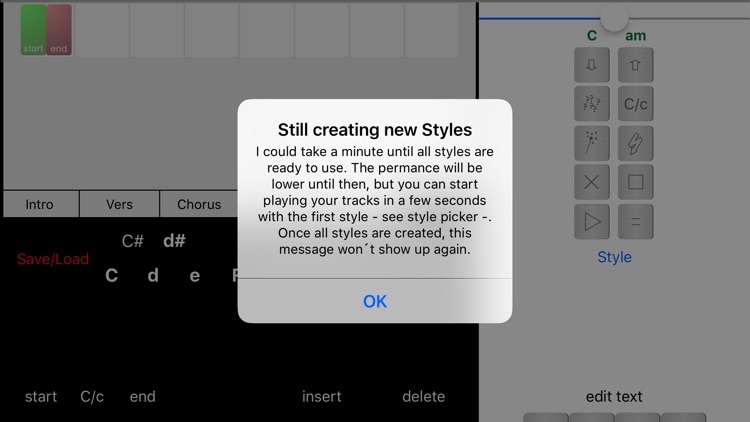 You can create different parts of your song and let Jazz Song Creator assemble them, so you are able to play around with structures, before you finish your Song. 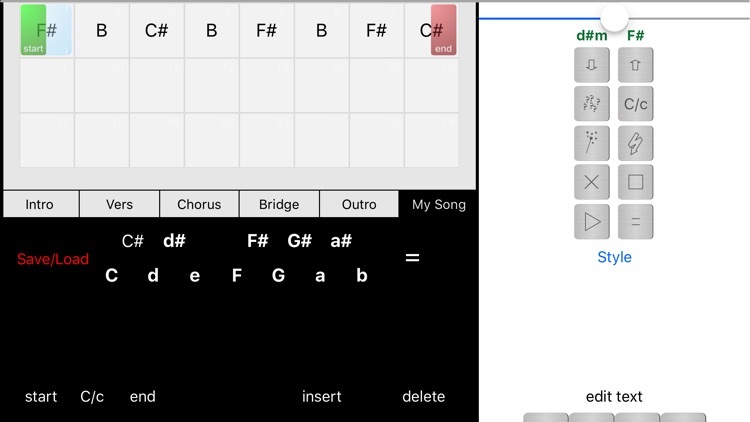 Tap a button you got chord progressions automatically. Tap a button and you got a structure automatically. Tap a button and you got a whole song automatically. Everything based on popular Jazz- rules. 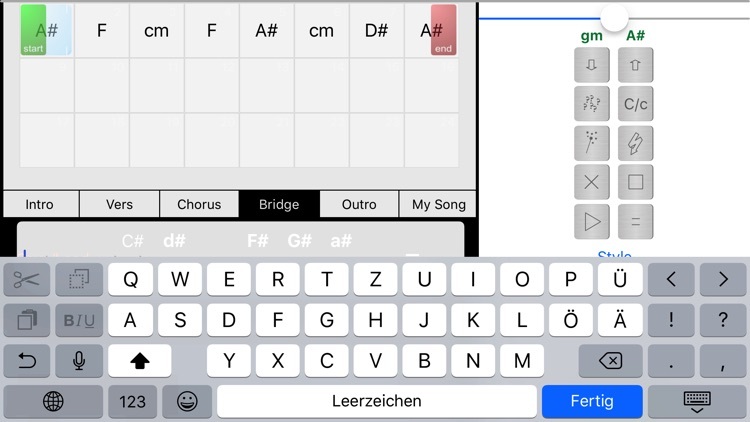 Jazz Song Creator checks the key of your song and shows you chords and notes that match on a guitar fretboard, if you like to improvise with the Jazz Song Creator. We did a lot of improvement under the hood. This and the following versions are much more stable and easier to use. 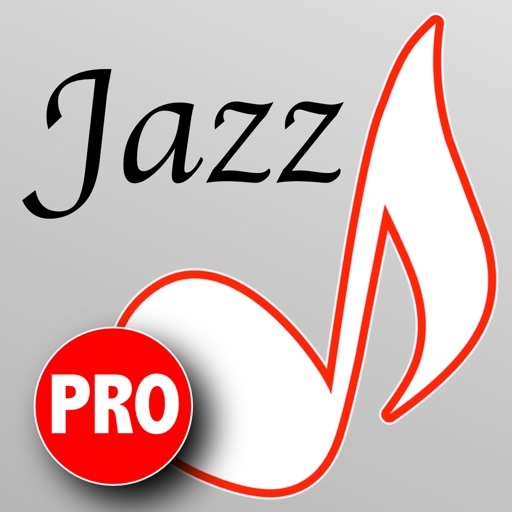 Load your music into Jazz Song Creator and try out tempo variations. Loop what you need to loop and slow down solo´s, you want to learn. An expert system, that is based on proven information of artists generates popular chord progressions and structures on a touch. Jazz Song Creator sounds like a live playing Jazz band. Focus on playing around with styles, chords and structures and get better skills in improvising. Press a button, choose your style and you got a song on the fly. 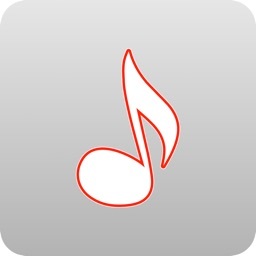 You´ll find your song on iTunes (via iTunes file sharing) to drag it into Garage Band or Logic to work on details.